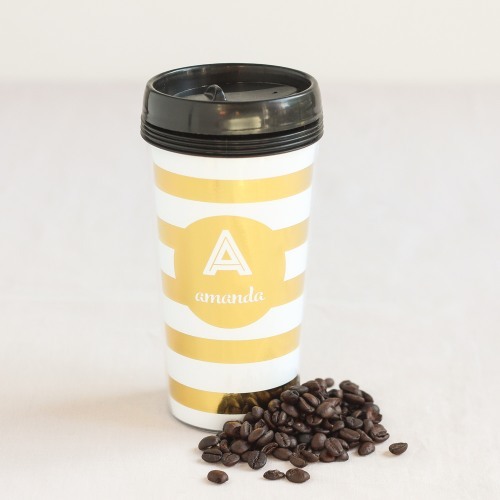 With this pretty personalized travel coffee mug, you'll always want to take your coffee to go! Each travel mug is made of acrylic, comes with a black twist off lid, and can have a monogram or solid heart design. Make it extra special with a text line and printed pattern in your choice of metallic gold, rose gold, or silver foil. This makes for such a fun and personable gift!